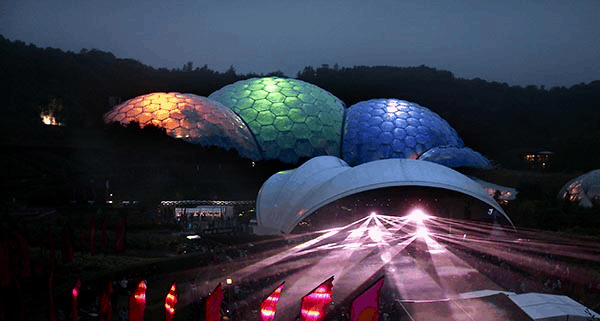 A natural amphitheatre, world-class musicians, and those iconic illuminated biomes – The Eden Sessions, described as ‘the nearest you can get to seeing a gig on the moon,’ is definitely one to tick off your Cornish bucket list. The Eden Sessions take place over the summer months and promise a phenomenal combination of artistes. This year’s headline acts include the Pixies, Elbow, Dizzee Rascal and Ellie Goulding. There is such an eclectic range of performers on offer that you can cherry pick your favourite session based on your taste in music. Relax with a picnic and glass of bubbly, or mix with the crowds stage side – there’s no formality to how you enjoy the acoustics. Each ticket includes entry on the day of the Session and the day after, so you have the opportunity to take in the attraction’s famous exhibitions including the worlds largest indoor captive rainforest. Our favourite view is from the elevated treetop walkway looking down on the jungle and waterfalls. If you want to make a mini-break of the occasion, we’ll be waiting with goose-down quilts at the end of the night and a hearty english breakfast in the morning. The Eden Project is just twenty minutes away from us by car, or we can book a taxi for you if you don’t fancy driving. Tickets are available here, with inside track early access specials.